FINALLY! The first new wooden roller coaster in over 20 years has debuted in the UK. Rumours of a wooden coaster at Alton Towers have been rife for well over a decade but in March 2018, Alton Towers opened Wicker Man, a ferocious and well themed coaster that will please virtually everyone who rides it. When the project was first teased in Autumn 2017, it was, in all fairness, greeted with a somewhat mixed response. Parks across the globe, particularly in America, were getting new wooden coasters on a regular basis. Wooden coasters by Rocky Mountain Construction were getting all the hype but Alton Towers chose Great Coasters International (GCI) to design and build their eighth “Secret Weapon” coaster (the codename the park gives to their ground breaking new attractions). Could a Secret Weapon wooden coaster that is not the “in thing” be a wasted opportunity? For many enthusiasts it seemed like a gamble. Would it pay off? In a word – Yes. One of Alton Towers’ best strengths is story telling. Most of their big attractions take advantage of the history and natural surroundings to give them a personality. Wicker Man is no different. Within the woods in which the coaster resides, a cult is preparing a human sacrifice akin to the famous films from which the ride takes inspiration. 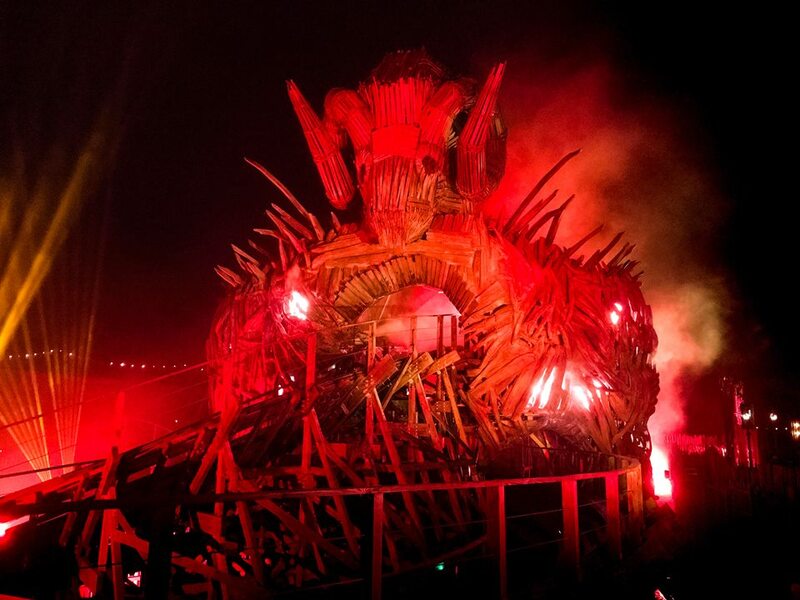 For those unfamiliar with the Wicker Man films, a visitor to an island is absorbed by a cult and ultimately scarified by being burnt alive inside a giant wooden effigy. The giant Wicker Man structure dominates the ride area and is the focal point not only for spectacular visuals (especially at night) but during the actual ride experience itself. 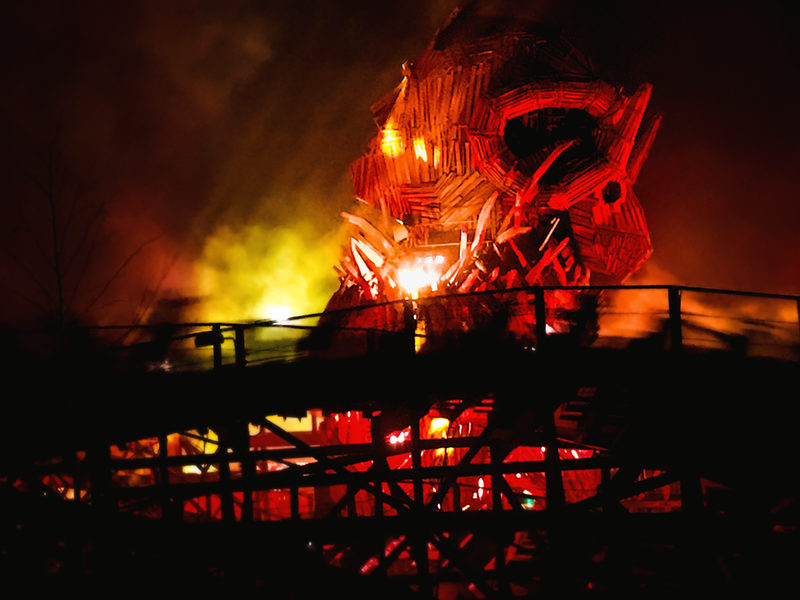 Using a combination of special effects, the Wicker Man structure appears to be on fire which burns with greater intensity as riders travel through it. Before riders board the train, a short pre-show in a beautifully themed room explains the story with some awesome use of projection mapping, sound and, most importantly of all, timing. The haunting Scottish accented narration booms throughout, building tension as it informs rides of their sacrificial fate. Although it would have been a capacity nightmare, if new riders first saw an empty train, it would feel more like a sacrifice has, and is about to, take place. Watching previous riders get off is a minor flaw in the story telling, but the anticipation of riding quickly diminishes that thought. The journey up the lift hill is quite slow so those who can crank their heads backwards will be rewarded with a great overview of the coaster and the impressive Wicker Man structure. Most coasters rely on the first drop for the initial adrenaline buzz and is usually one of the highlights, but not on Wicker Man. The first drop is not there to thrill, it’s only purpose is to (obviously) give the train the momentum it needs. And then all hell breaks loose! Riders charge through a twisted spaghetti of wooden track, changing direction through tight turns and up and over air time hills. The full-on adrenaline and highlights kick in whenever the train passes through the Wicker Man; surprise air time pops riders off their bums and dazzles them with an array of effects. There’s hardly time to catch breath…until the large turn. The turn is a slight pause in dramatics but, for riders who are sitting towards the rear of the train, jets of fire safely burst skywards before the train jumps and twists back through the Wicker Man. 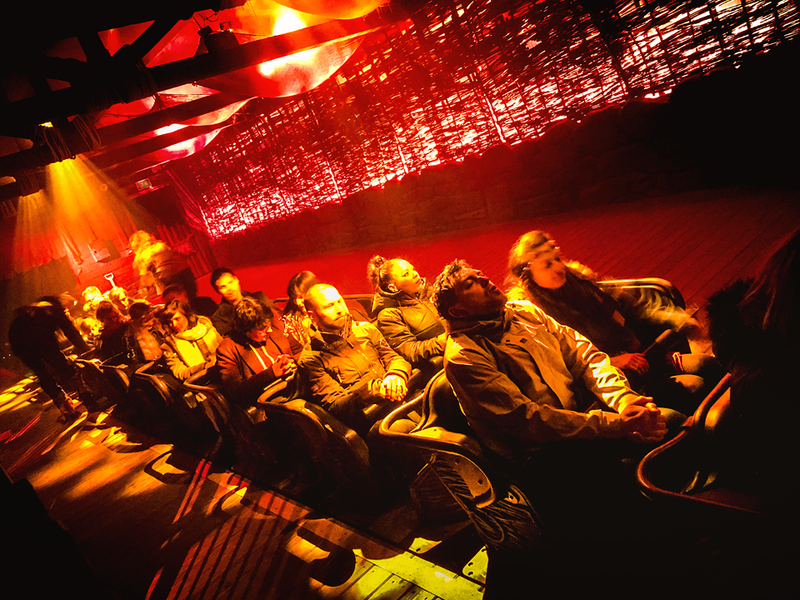 The sacrifice story is told right up to the moment riders leave the train, making it one of the fullest story themed coasters Alton Towers has ever created. Wicker Man is a great addition to Alton Towers’ already world class coaster line-up. Where some coasters can be predictable and, after multiple re-rides, desensitize the rider, Wicker Man continues to feel new and exciting on each and every ride. Is that because modern day wooden coasters are a newish experience for most UK riders? Perhaps it’s the clever story telling and interaction with the Wicker Man structure? Maybe it’s the unexpected ferocity of the ride? No – it’s everything. It all comes together in one neat package that will leave every rider smiling. Alton Towers have proved once again that building the biggest, fastest or record breaking blah blah coaster is not the way to achieve thrill success, but creating an all round price of roller coaster theatre is! Go on, go ride. Be chosen. Review by Ian Bell, CoasterForce. 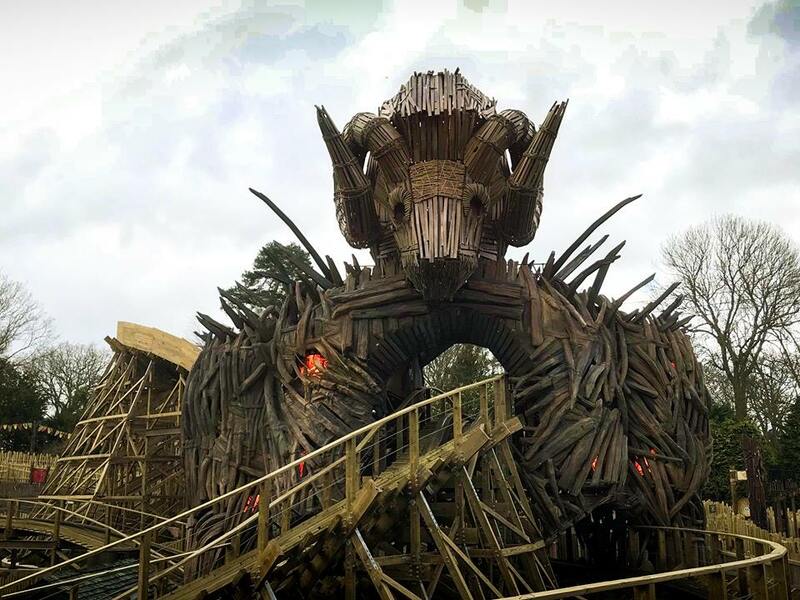 This entry was posted in Features and tagged Alton Towers, New-for-2018, Wicker Man. Bookmark the permalink. Review: Tiger Rock at Chessington World of Adventures6 coasters under 100 ft that really pack a punch!